This tree is a native of areas from Malesia to North Queensland. 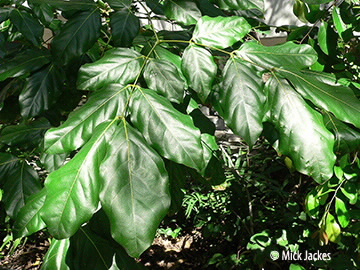 Leaves are large and bi- to tri-pinnate, the pinnules or ultimate leaflets are opposite. 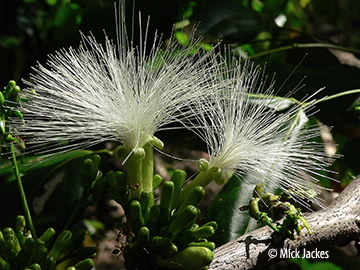 Flowers in clusters along the trunk and main branches; petals white, stamens numerous, filaments white to 5 cm long. Pods are woody, curving and split open along one suture, up to 10 cm long; red on the outside, orange on the inside, seeds black.